Craighouse has a long history and we have recently received a fascinating letter from someone who worked at the hospital as a Psychiatrist in the 60s who lived on Craiglea Place. This letter is both fascinating in terms of the special nature of the site in terms of wildlife and the general public – reiterating how the site has been used by the general public in the 60s – but also in terms of its medical history. The letter outlines the succession of doctors and psychiatrists who worked there and emphasises their humanity as well as their contribution to medical science. Which, of course, is partly what the design of the grounds at Craighouse was originally about. I have not included names and addresses here on the internet, but I have the full hand-written letter in my possession if anyone would like to see it. I have not copied out the full part about all the practitioners, but here is a part of this lovely letter – a reminder of the past and also a reminder of what is important going forward. From October 1961 to October 1968 I was a trainee psychiatrist at Craighouse including 4 years as a Senior Registrar before leaving to take up a consultant post in Paisley. 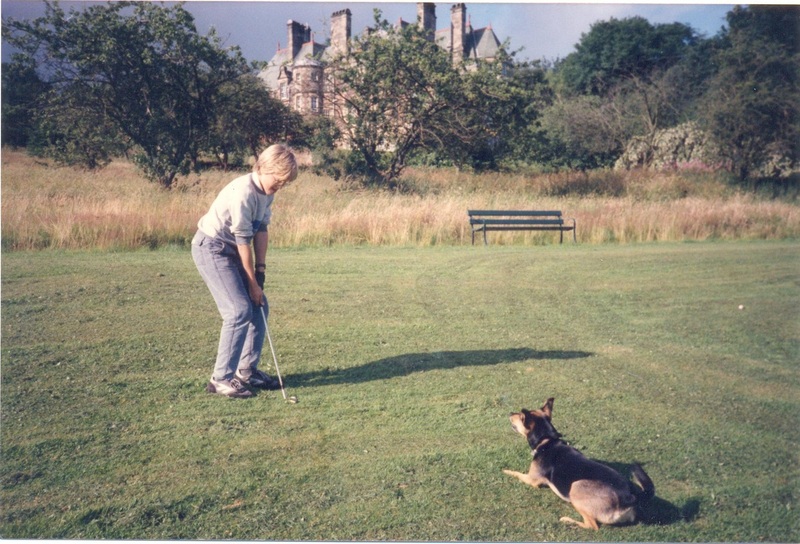 The grounds were always open and accessible for walks and picnics when the girls were small. This was as an ordinary citizen on my part and not an NHS employee. If I remember rightly, there was no law of trespass in Scotland and assume this is still so. There was always much wild life about and, in particular, I remember how often we used to hear and see owls. This was a major wild life corridor, as modern terminology has it, with various habitats – woods, grassland, a large orchard and so forth. Morningside has a population hugely expanded since my early days and the population needs a “lung” so to speak. I would certainly like to think our daughter and her children would have the access we did. Experience shows that once such an environment goes, through greed or ignorance or both, it has gone forever, often times closed off, gated “communities” appear instead. Talk of conservation and protection of biological diversity fades. Although the following is not directly related to our subject matter I thought you would be interested in Craighouse Hospital as it was in the 1960s. The public probably thought of it as the old asylum with its long term “inmates”. There were about 300 beds which included acute admission units with a turnover greater than all of the Andrew Duncan Clinic down the road off Morningside Park. In the early 60s the patients were in what were designated amenity beds which meant that they paid £4-50 a week for better “amenities”. This meant that there was some social class difference. However, this measure was phased out by the mid 60s. The only consultant in the early 60s was Dr Elizabeth Robertson…She was highly respected at national level and known for her research and publications on Alzheimers Disease and other forms of dementia. She kept alive the interest in this branch of Psychiatry when no one else seemed to be. She ensured high standards of treatment and care and in the training and academic teaching of the medical staff. There were 2 Senior Registrars, 2 Registrars and 2 Senior House Officers. The letter ends by wishing us the best of luck with our campaign. I would like to thank the sender for this lovely piece of social history, a real glimpse into the past and a reminder of much of the thinking that runs through the history of Craighouse. Just as he mentions in the case of Dr Ashcroft, wellness and wellbeing at Craighouse was about treatment, yes, but also about the environment. The thinking behind the original way the grounds and buildings are set out; the way the landscape invites its users to enjoy the views (see Cockburn Association letter). We need to remember that the views, the grounds, the semi-natural parkland, have all been designed with this in mind, and continue to be important to people’s feeling of wellbeing today. The writer of this letter hopes his grandchildren can continue to enjoy this fabulous site. 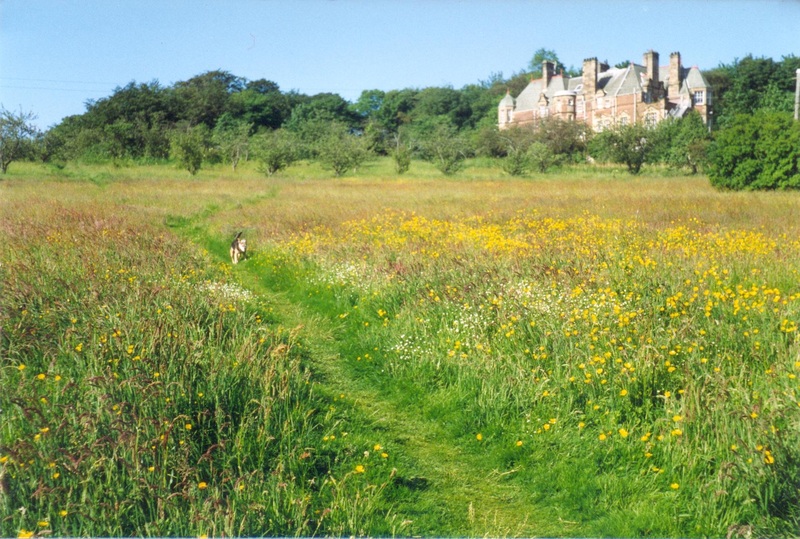 As do I – along with all the other wonderful green spaces in Edinburgh that we can enjoy presently but that would be at risk if the developers are allowed excessive new-build at Craighouse.